At Grow Gorgeous we know good hair. We know that feeling of confidence that comes from having gorgeous, healthy hair and our products help you achieve head-turning hair every day. Grow Gorgeous prides itself on setting the foundations for optimum hair growth through its range of products that are packed with powerful ingredients that care for your hair through every step of your hair care routine; your Grow Gorgeous routine. A hair care routine can be as personal as you and the products you employ to treat and care for your hair should be specific to your hair’s condition and needs. 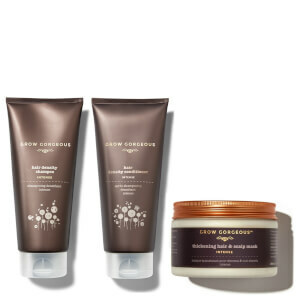 Whether your concerns lie with hair shine, volume, thickness or hydration, there is a Grow Gorgeous routine for you. 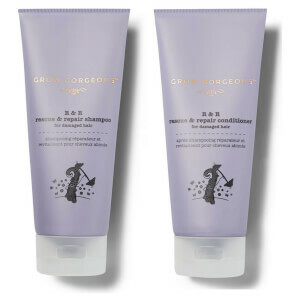 Combat lackluster, lifeless and thin hair with the Intense Shampoo and Conditioner Duo from Grow Gorgeous. Expertly formulated with botanic extracts and advanced scientific complexes, the pair work in tandem to re-strengthen hair follicles and intensively hydrate them. Ideal for damaged and color treated hair, you can expect denser and revitalized locks with a radiant shine. 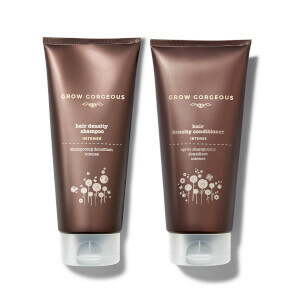 If you’re new to the brand where better to start with your Grow Gorgeous routine than with our iconic Grow Gorgeous Hair Growth Serum and Cleansing Conditioner?